When you think of the Kimberley you think of the suns warmth on your face, the rich red earth under your feet and afternoon swims in the turquoise blues of the various gorges and swimming holes. Sounds like a dream, however it can be made reality when given the tools, this guide will tell you the right way to explore the Kimberley. Western Australia’s Kimberley has a vast and diverse landscape, spectacular viewed from above. To receive the greatest perspective of this amazing wilderness region, you must take to the air. Local specialists Aviair and HeliSpirit are WA’s top award-winning tour operators. Fly with Aviair in air-conditioned comfort whilst your pilot tells you about the places you fly over. 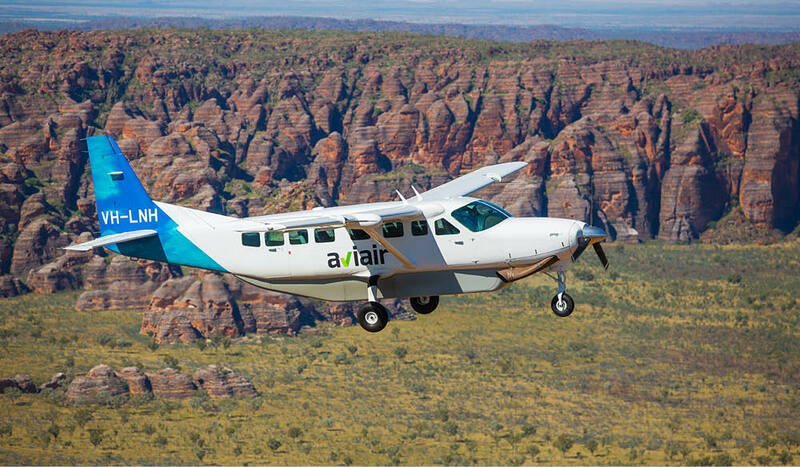 Aviair provides scenic air tours over the famous Bungle Bungle Range, Lake Argyle, the Argyle Diamond Mine, Kimberley Coast and Mitchell Falls. Combine your flight with a thrilling HeliSpirit helicopter ride, to experience an up-close perspective of deep gorges, huge watercourses and inaccessible places. HeliSpirit’s exciting helicopter flights operate throughout the Kimberley, with options to; land on a mountain pinnacle to watch the sunset over a glass of wine, heli-fish with experienced guides in wild rivers or to soar through gorges and touch down for a swim under a secret waterfall. Bungle Bungle Guided Tours offer a unique experience, providing guided walking tours with an Aboriginal perspective of the world heritage listed Purnululu National Park. Choose from a range of Bungle Bungle guided walks suiting all levels of fitness. 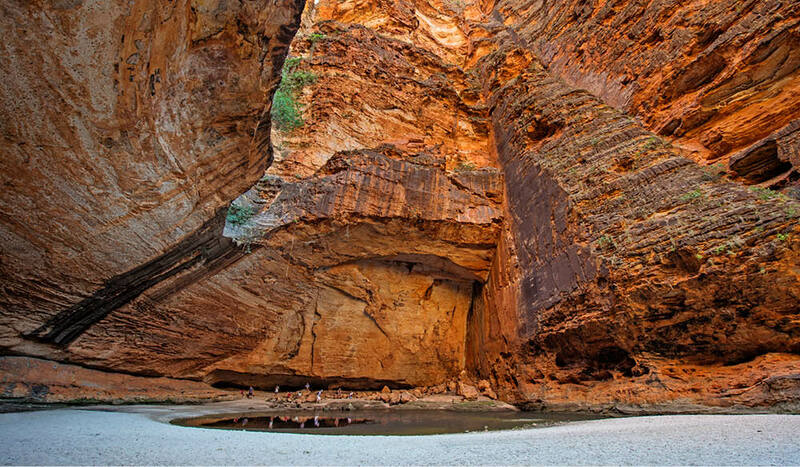 Experience the beauty of the enormous natural amphitheatre of Cathedral Gorge, the winding Echidna Chasm and the cultural significance of the area to the indigenous people. Fly-in day tours depart from Kununurra or Warmun. With exquisite starry skies above – why not stay the night at Bungle Bungle Savannah Lodge? Situated at the southern end of Purnululu in Savannah grassland, the lodge has an inviting freshwater swimming pool, licensed bar and open-air dining deck as well as indoor dining room. Staying at Bungle Bungle Savannah Lodge also includes a hot shower in your private ensuite bathroom, hearty meals and a comfortable bed to enjoy after your day of exploring. Receive personal service and local knowledge from the Kimberley Experiences team, as we let you in on our secrets about the best way to see this stunning part of Australia. Kimberley Experiences create unique itineraries that have something for everyone; such as scenic flights over the Bungle Bungles, awesome river cruises on Lake Argyle, thrilling helicopter tours at Mitchell Falls, exciting helifishing adventures, fantastic accommodation and amazing food. When it comes to accommodation in Kununurra, the Kimberley Experiences team always recommends the executive-style, self-contained accommodation, Freshwater East Kimberley Apartments. With options of 1, 2 and 3-bedroom apartments set in tropical gardens, Freshwater East Kimberley Apartments provides the ideal relaxing environment during your holiday. Adore the Kimberley weather while you sit around the resort-style pool and enjoy the comfortable facilities. The perfect base for your Kimberley adventures! 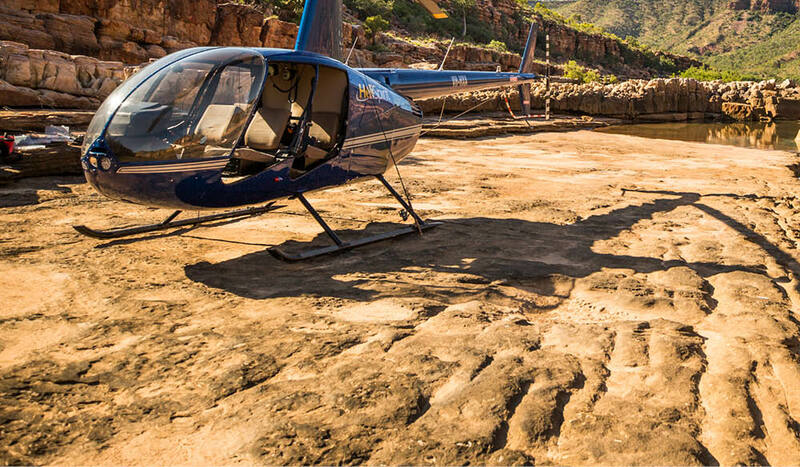 The ultimate way to discover the Kimberley is by private helicopter with an experienced local guide. Most of the region is inaccessible by any other means. HeliSpirit luxury Kimberley helicopter safaris are private and focus on your bucket list experiences. Land on a mountain pinnacle to watch the sunset over your favourite cold drink, fish in wild rivers, view galleries of the oldest rock art on earth, soar through gorges and touch down to swim in secret springs and waterfalls. Our pilots know the Kimberley intimately and will ensure your experience is the best you could hope for. 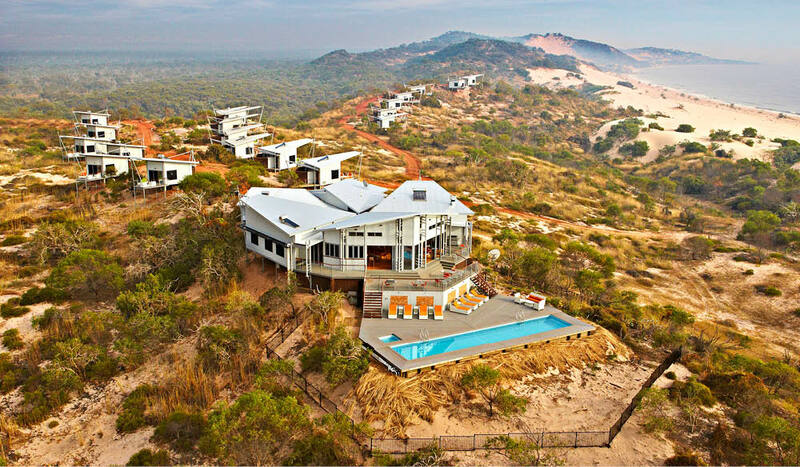 Stay in the region’s best luxury lodges and coastal wilderness retreats: Berkeley River Lodge, Kimberley Coastal Camp and El Questro Homestead. All three are unique lodges in exquisite locations offering diverse wilderness experiences. On this itinerary you will unwind and relax further each day, sinking into Kimberley time.